Paravan GmbH powered wheelchairs, the PR50, PR30 & PR Piccolino. 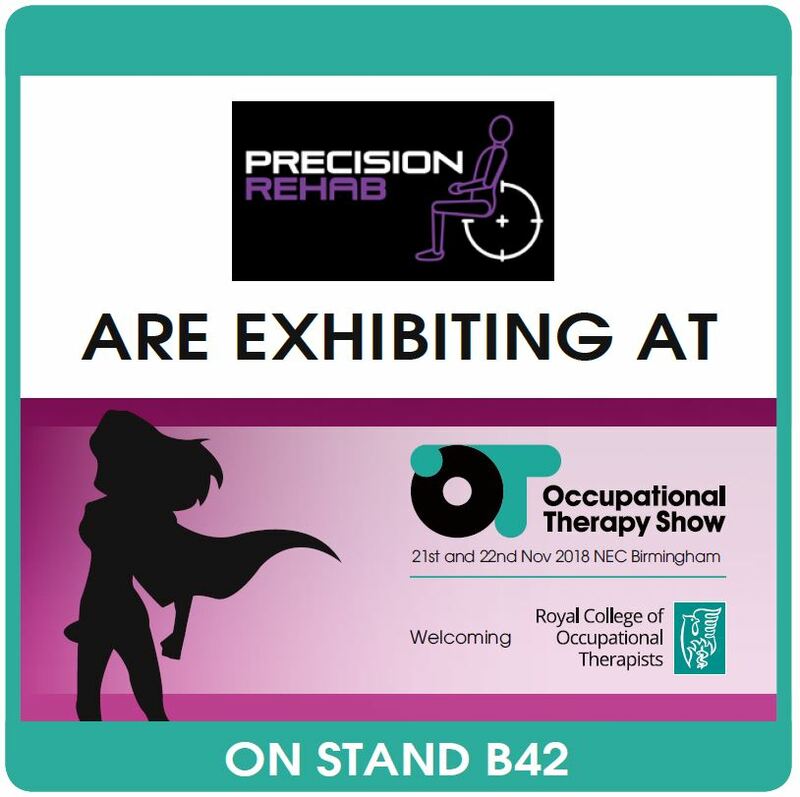 On stand B42 at The OT Show, Precision Rehab will be exhibiting the UPnRIDE and Sunrise Q700 UP M powered wheelchairs both of which have recently been added to the company’s product portfolio. Complementing the UPnRIDE and Q700 UP M will be the Paravan PR50, Paravan PR30 Evo II and the Paravan Piccolino, which features a very low to floor seat height of 38cm with an option of 36cm. “We are delighted to once again be exhibiting at the OT Show. The two-day event is a fantastic platform for us to showcase and demonstrate our range of powered wheelchairs to OT’s from around the UK and discuss their client’s requirements and book assessments in a relaxed and friendly environment” commented Matthew James, Co-director, Precision Rehab Ltd. The UPnRIDE is a life changing innovation in standing chair technology and is the first powered wheelchair of its kind in the UK to offer auto balancing and unchanged centre of gravity to ensure the user has continuous stability even when travelling up or down slopes. Additional feelings of stability and safety are provided by the jointed braces and harness straps. The Q700 UP M is a standing powered wheelchair which allows the user to lie flat or stand due to its biomechanical standing seating system which enables the user to stand at up to 85˚ so they can interact with friends and family face to face. With a narrow base of 620mm and a turning circle of just 1250mm, the Q700 UP M is highly manoeuvrable in confined spaces and easily fits under tables and into wheelchair accessible vehicles (WAV) due to its low seat height of just 445mm. The Paravan PR50, PR30 Evo II and Piccolino will also be on show on stand B42. The PR50 is equally at home in a domestic, working or care environment and is the only powered wheelchair to feature an integrated seat belt, have EU approval, been crash tested and TUV certified. The PR50 is equipped to take respiration apparatus, including special headrests and extra power supply as standard and can be operated safely even by the severely disabled thanks to an adapted special control unit. Whether the user is at home, shopping, socialising with friends or at work, the PR50 has been designed to meet all their requirements to ensure they can lead an independent life. Being able to turn on itself, due to its width of just 64cm, the PR50 is highly manoeuvrable and can fit through most doorways and lifts and the user can even drive their WAV from it as it can also be used as a car seat with its integrated seatbelt. The Paravan PR30 Evo II is a highly configurable joy stick controlled powered wheelchair. Featuring a modular design, the PR 30 Evo II can be fitted with a comprehensive range of additional options to ensure it meets the exact requirements of the client. Options include a tilt function, seat lift up to a maximum height of 80cm and footrests with additional electric features. The Paravan contoured seat system offers the client nine different configurations which consists of back pads (52, 63, 71 cm) and seat pads (45 to 54cm) all of which are individually selectable to provide the ultimate level of comfort and support. Additional standard features of the PR30 Evo II include: seat baseplate and cushion, manually folding backrest, integrated backplate with threaded inserts, adjustable headrest and multi adjustable arm rests. The seat is covered in an easy-care fabric. Completing the range on show will be the Piccolino which has been designed for young people from the age of 2. With seat widths of 270 – 430 mm, a depth of 320 – 385 mm, and back height of 400 – 480 mm combined with side supports, head support and other seat accessories all of which are multi variable and individually adjustable the Piccolino is a truly versatile powered wheelchair. The Piccolino is the ideal paediatric powered wheelchair which can grow with the client and to help make it as fun as possible, it is available is a wide choice of funky vibrant colours. Over the last three years, Precision Rehab has grown steadily and the company became a true family business when Matthew’s wife Emma recently joined the team. As part of this continued growth, the company recently announced that Motus Medical Limited will be its authorised distributor covering the Midlands and North of the UK, for the range of Paravan & UPnRIDE specialist powered wheelchairs. Every client is unique and Precision Rehab believe in going the extra mile to find a bespoke solution to ensure every client receives a chair which meets all their individual requirements. Over the years, many customers have become friends and comment on the team’s professional and friendly service.